My first review for new magazine Film Fatale is of Jason Reitman's Young Adult, written by Diablo Cody who collaborated with Reitman on Juno. Click on the link and have a read to see if it floated my boat or not. 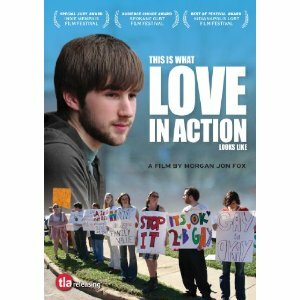 In my latest review for Eye For Film I take a look at Morgan Jon Fox's eye opening documentary This is What Love in Action Looks Like. Focusing on a controversial anti-gay therapy programme, Fox's film is an inspiring, awareness raising insight into the programme and the grassroots campaign that rose up to put a stop to it. 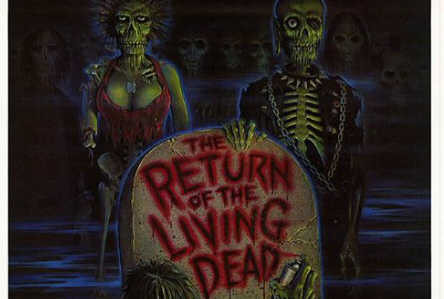 My latest review for Eye For Film is of the newly released 2 disc special edition of The Return of the Living Dead. Click on the link, and take a step down memory lane or be introduced to an 80s horror classic. The wonderful New Empress Magazine run a regular feature on their website called 'films that time forgot'. 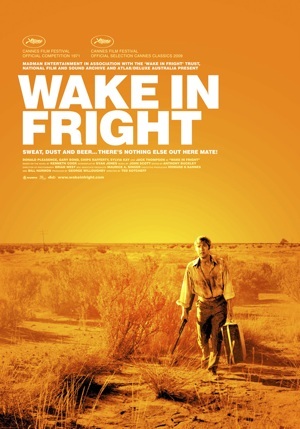 My entry for it is Ted Kotcheff's Wake in Fright, an unforgettable tale of a lost weekend in the Australian outback. Click on the link below, have a read and then track down a copy of this grimy, sleazy classic. The film tells the story of tragic Maggie Conlon, played by the remarkable Crissy Rock, who gives one of the most astounding performances in cinema. Maggie has her children taken into care after a devastating accident, and cries on the shoulder of mild-mannered illegal immigrant Jorge (Vladimir Vega). What could be a final happy ending to a heart-wrenching story descends into what can only be described as the average person’s idea of pure, unforgiving Hell. The sad fact of the matter is Maggie, who was let down by social services as a child, cannot control her all-encompassing rage and hatred for those who ultimately have control over her relationship with her children, and her erratic behaviour and poor decisions serve as the main catalysts to her demise. It is tempting, and all too easy, for Loach to be described as an anti-authoritarian film-maker whose main purpose is to criticise those in positions of power, and at a glance it is easy to understand why. In Ladybird, Ladybird, however, the function of Social Services and Maggie’s relationship with them is played out objectively. 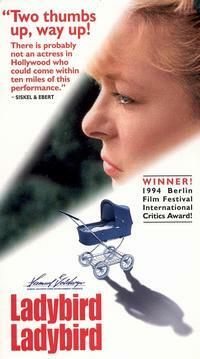 What the viewer does feel, is an acute frustration, and yet a genuine sympathy, for a woman who is her own worst enemy. We are not watching a woman who does not love her children (the judges and social workers admit several times that she clearly loves them), but she is a woman who can’t identify how her own lack of self-worth damages her children. In the beginning of the film, she leaves a man (played by a blood-chilling Ray Winstone) who remorselessly beats her, only to return to him with no real thought about the negative affect it will have on her children. What sets this film above the rest for me, is the affect it had on me after watching it. I sat, staring at the screen, barely acknowledging the credits. I did not feel, at any point, the familiar lump in the throat that you get from being moved. Instead, I felt what can only be described as grief. The sickness deep in the pit of your stomach that you only get when you’ve experienced something real (I didn’t realise until after that it was in fact based on true events.) Now I’d agree, it’s not a particularly pleasant experience, but then, the majority of us, especially cinephiles, watch a film to be challenged- and that I can watch a story about somebody who I’ve never met and feel such a genuine feeling, one that does not go away once I’ve turned off the TV, leaves me in awe. It’s such a dull cliché, but when you’ve experienced it, it feels anything but. People often tell me that they think Loach needs to cheer up a bit. I couldn’t disagree more.